The Accountant-General of the Federation (AGF), Mr Ahmed Idris, on Wednesday said the Federal Government shared N619.85 billion as revenue generated in February to the three tiers of government. 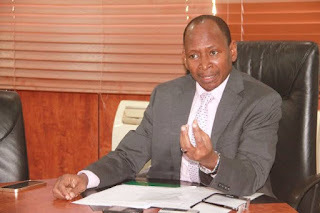 Idris, represented by the Director of Funds, Office of the AGF, Mr Mohammed Usman, said this at a news conference at the end of the monthly Federation Accounts Allocation Committee (FAAC) meeting in Abuja. Giving a breakdown of the revenue accrued in February, Idris said that the mineral revenue increased by N23.57 billion, moving from N326.52 billion in January to N350.09 billion in February. However, the non-mineral revenue decreased by N46.27 billion, from N170 billion in January to N124.32 billion in February. He said that in February, the federation crude oil sales increased by 46 per cent, resulting in increased federation revenue from 425 million dollars in January to 574 million dollars in February. “Shut in and shut down persisted while some terminals remained closed due to leaks and maintenance. “Petroleum Profit Tax increased significantly while Companies Income Tax recorded a marginal increase. “Revenues from value added tax, oil royalty import and excise duties decreased in February 2019,” he said. In summary, Idris said that the Federal Government received N223.15 billion, states got N113.18 billion and local governments received N87.26 billion. In addition, N45.09 billion, representing 13 per cent of the mineral revenue was shared to oil producing states. Idris assured civil servants that despite the delay in holding the FAAC meetings, their salaries would be paid before end of the month.